Nigerian Singer Iyanya has called on Ex-BBnaija housemate Teddy A for a music collaboration. Teddy A who was recently evicted from the house is a singer who has done songs with artists such as Phyno and Kcee. Few hours after his eviction from the house which mostly appeared as a shock to most viewers, the Kukere master took to his Twitter page to announce this collaboration offer to Teddy A and the world at large. 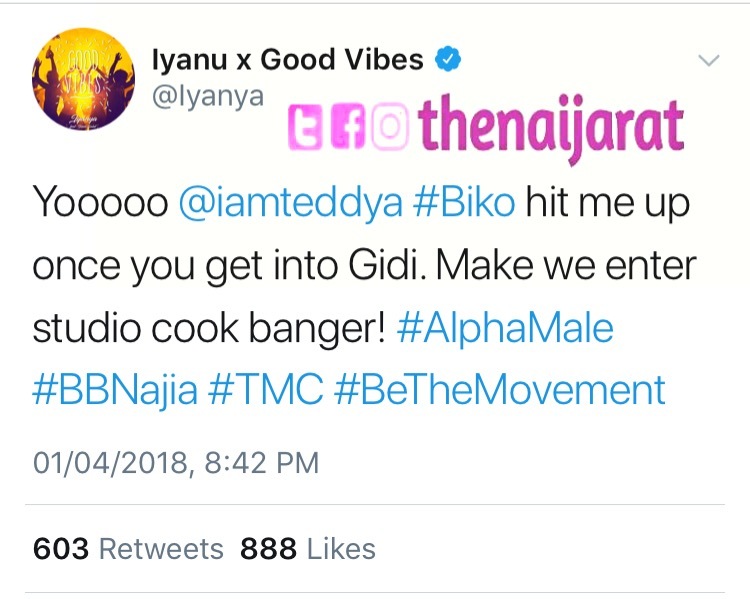 Question now is did Iyanya do this out of pity or he really wants to work with Teddy A on this one? Let’s wait and see!